Anyone running Microsoft Windows 7 on the Lenovo Thinkpad X200 Tablet PC? I've had such a positive experience running Windows 7 on my slow Samsung Q1 Ultra, that I'm very tempted to install Windows 7 on my Thinkpad. However, my machine isn't your "typical" Thinkpad tablet. It has Intel Turbo Memory and also has a multi-touch screen (active digitizer plus passive touch). Intel Turbo Memory was a new feature in Vista, but I wonder if it will be incorporated into Windows 7 (I'm sure the information is out there, but I'm too busy typing this up). I think that over the weekend I may install a blank hard drive and see what happens if I install Windows 7. Somehow, I doubt that everything will work if I do that, but I'm tempted to try. ** revised on 6/30/09 - I've been running Windows 7 on my X200 Tablet as my main operating system and I'm loving it. Things are so much faster and more efficient. The inking experience is superb and the handwriting recognition is great. I'm so pleased by the quick boot time and the overall stability of this OS. 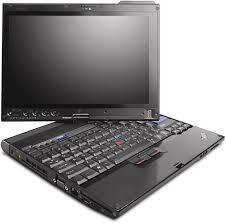 See my other posts on this topic by searching for "Windows 7 Thinkpad"